The financial arrangements for the commencement of mechanized agricultural services and the water project for Yendi in the Northern Region have now been concluded in New Delhi, India. 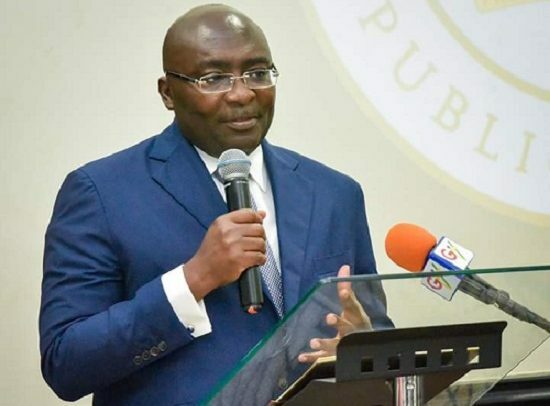 This followed a meeting between the Vice President Dr. Mahamudu Bawumia and officials of the India Export-Import Bank (EXIM) Bank on the sidelines of the ongoing conclave being held in New Delhi. It all began when President Akufo-Addo held discussions with officials of the EXIM Bank about the possibility of undertaking an agricultural improvement services and the provision of water for the inhabitants of Yendi through credit lines of $150 million and $30 million respectively. The conclusion of the deals was the outcome of a closed door meeting between the Vice President and the bank’s officials; the final sign off which is scheduled for April. Under the agricultural development project, equipment and training would be provided for the various Agriculture Mechanisation Services Equipment Centres (AMSEC) across the country. The Yendi project is expected to provide water for the over 133,000 residents of the municipality and beyond. The Vice President lauded the commitment shown by the EXIM Bank of India and Government of India towards the project. Dr Bawumia was joined by stakeholders to convince major players in India about why investing in Ghana was the best. The moderator’s introduction of the Vice President was appealing and drew applause from the audience. Some Indian business persons resident in Ghana also joined in encouraging their compatriots to come and join them in the hospitable country.